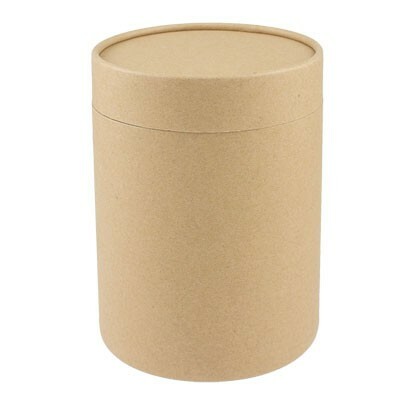 Useful gift box for Karma Kup. Size: 145 x 110 x 5mm, Lid height 25mm. Print: Lid 50mm, Body 100mm. 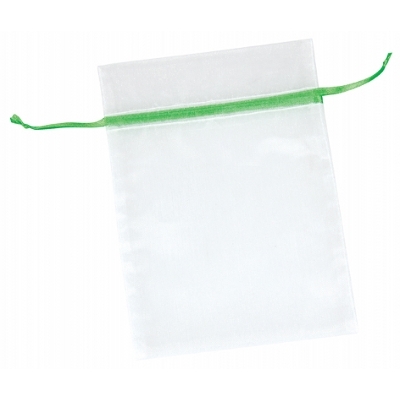 Brand: Pad, Screen, Sticker. .
Frosted clear PVC pouch with dome closure. USB not included. 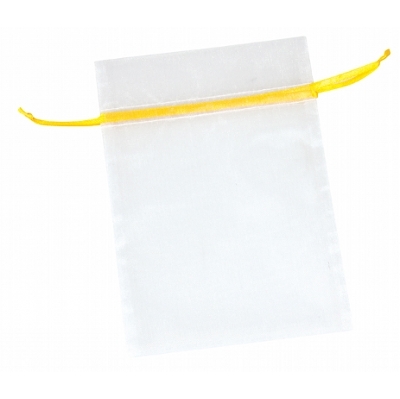 Size: Size 100 x 65mm Colour: Clear. Flat packed magnetic closure gift box with convenient carry handle. Size: Size 230 x 200 x 100mm Colour: Black. Decoration Option: Screen Print | Pad Print. Decoration Area: 200 x 170mm. These organza bags will compliment any gift. Great for holding lollies, lip gloss, compact mirrors. Size: Size 150 x 240mm Colour: Black. These organza bags will compliment any gift. Great for holding lollies, lip gloss, compact mirrors. Size: Size 150 x 240mm Colour: White. Decoration Option: Pad Print. Decoration Area: 60 x 60mm. These organza bags will compliment any gift. Great for holding lollies, lip gloss, compact mirrors. Size: Size 120 x 170mm Colour: White | Yellow. These organza bags will compliment any gift. Great for holding lollies, lip gloss, compact mirrors. Size: Size 110 x 140mm Colour: Black. These organza bags will compliment any gift. Great for holding lollies, lip gloss, compact mirrors. Size: Size 110 x 140mm Colour: White | Blue. These organza bags will compliment any gift. Great for holding lollies, lip gloss, compact mirrors. Size: Size 110 x 140mm Colour: White | Light Green. These organza bags will compliment any gift. Great for holding lollies, lip gloss, compact mirrors. Size: Size 120 x 170mm Colour: Black. These organza bags will compliment any gift. Great for holding lollies, lip gloss, compact mirrors. Size: Size 120 x 170mm Colour: White | Blue. These organza bags will compliment any gift. Great for holding lollies, lip gloss, compact mirrors. Size: Size 120 x 170mm Colour: White | Light Green. These organza bags will compliment any gift. Great for holding lollies, lip gloss, compact mirrors. Size: Size 120 x 170mm Colour: White | Red. 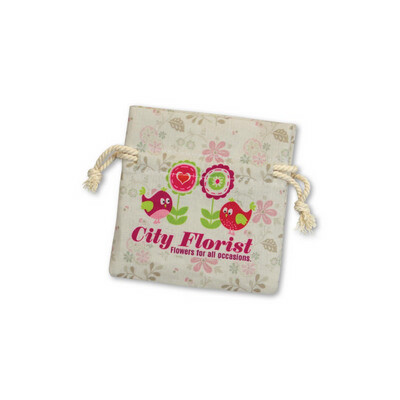 These organza bags will compliment any gift. Great for holding lollies, lip gloss, compact mirrors. Size: Size 120 x 170mm Colour: White. These organza bags will compliment any gift. Great for holding lollies, lip gloss, compact mirrors. Size: Size 110 x 140mm Colour: White | Red. These organza bags will compliment any gift. Great for holding lollies, lip gloss, compact mirrors. Size: Size 110 x 140mm Colour: White. 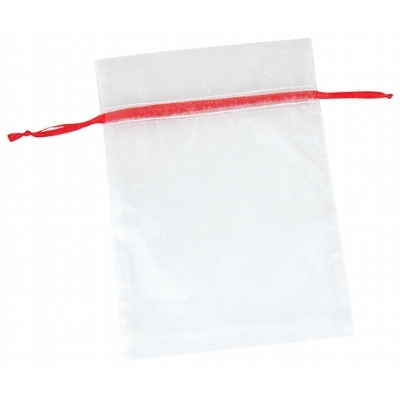 These organza bags will compliment any gift. Great for holding lollies, lip gloss, compact mirrors. Size: Size 110 x 140mm Colour: White | Yellow. Silver tin with clear lid to display sweets inside, ideal for holding 40gm packs of lollies. Size: Size 65 x 45mm Colour: Silver. Decoration Option: Pad Print | Sticker. Decoration Area: 43mm dia. The perfect packaging to hold a cake or any festive food. Tin can be engraved, printed or sticker wrap. Size: Size 140 x 70mm Colour: Black. Decoration Option: Screen Print | Sticker. Decoration Area: 80 x 35mm | 110mm dia. 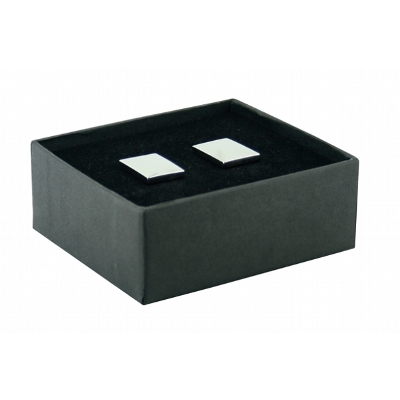 Black gift box & lid with foam insert to hold a pair of cufflinks. Cufflinks not included. Size: Size 75 x 82 x 32mm Colour: Black. Decoration Option: Pad Print | Sticker. Decoration Area: 60 x 35mm | 50mm dia. Ingenious flat packed magnetic closure gift or storage box. Suitable for a 500 gram xmas cake. Size: Size 150 x 150 x 100mm Colour: White. Decoration Option: Screen Print | Pad Print. Decoration Area: 130 x 130mm. 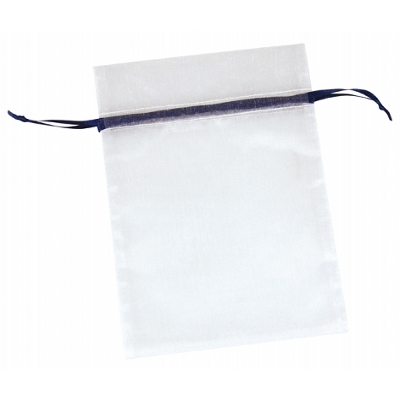 Small size cotton drawstring gift bag which can be branded with an all over design in full colour at no extra cost. A lead time of 15 working days applies to this product. 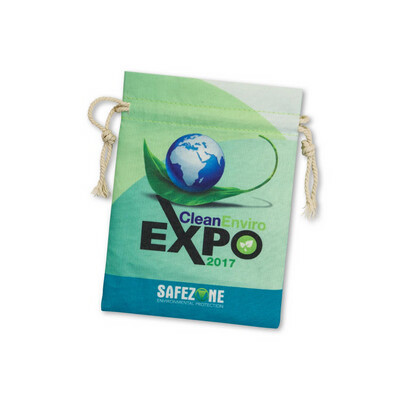 Medium size cotton drawstring gift bag which can be branded with an all over design in full colour at no extra cost. A lead time of 15 working days applies to this product. 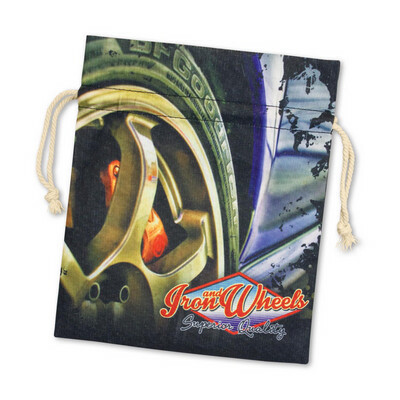 Large size cotton drawstring gift bag which can be branded with an all over design in full colour at no extra cost. A lead time of 15 working days applies to this product.